Unwind and infuse the home with the aromatic blends of Sandalwood, Rose Geranium, Myrrh and Frankincense. 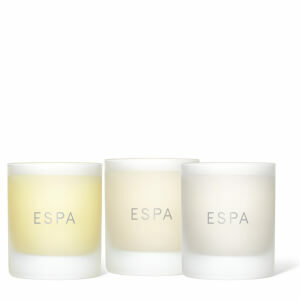 The candle has 40 hours burn time to help relax and soothe a busy mind. Beautiful product, as always. As a customer for many years however, I am a little disappointed that the packaging is not as luxurious as it used to be and there are no free samples. These were the appreciated little touches that made Espa purchase extra aspecial. I love this fragrance. I have it in my bedroom, and it is utterly divine.